Every now and again a book comes along that can help millions of people… POUND FOR POUND is one of those inspirational gems. 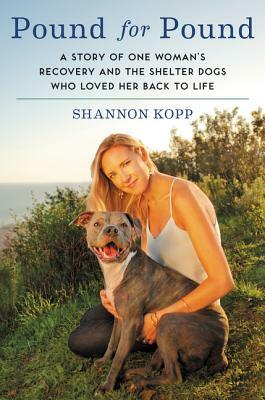 Shannon Kopp’s personal story… is a must read. Pound for Pound is an emotional reminder of the strength of the human spirit and how dogs are more than our best friend; they can also be guides, inspiring us to be compassionate, share joy, and live life in the moment.